Alexander Gray Associates is pleased to announce Polly Apfelbaum's solo exhibition: Waiting for the UFOs (a space set between a landscape and a bunch of flowers), curated by Erin Dziedzic at Kemper Museum of Contemporary Art, Kansas City, MO. The exhibition originated at Ikon Gallery, Birmingham, UK, in 2018. Kemper Museum presents a major exhibition of works by internationally-renowned New York-based artist Polly Apfelbaum (American, born 1955). Featuring textiles, ceramics, and works on paper, Apfelbaum’s artistic practice branches out into broader social and historical contexts, and is situated in the legacy of post-war American art. Apfelbaum’s artistic practice is distinguished by a hybridized aesthetic that fuses traditions of painting, craft, and installation. Deploying a wide variety of media—including fabric, paint, dyes, wallpaper, and ceramics—her work has dissolved spatial, plastic, and temporal boundaries. She is best known for expansive polychromatic installations, which coalesce the radical and the beautiful with the domestic and irreverent. This fusion of cultural references is present in the title of the exhibition which comes from the 1970s song lyrics “Waiting for the UFOs” by British band Graham Parker & The Rumour. It is coupled with surrealist artist René Magritte’s definition of a garden as “a space between a landscape and a bunch of flowers,” and makes reference to his extraordinary landscape painting The Plagiarism (1940). In 2004, Kemper Museum hosted a solo exhibition of Apfelbaum’s famous floor works that she describes as “fallen paintings,” hybrid works of rare beauty that exist somewhere between painting, sculpture, and installation and are arranged on the floor, spreading around corners in indeterminate shapes. Kicking off Kemper Museum’s twenty-fifth anniversary year, Apfelbaum’s oeuvre is the very essence of transformation, innovation, and brilliance, accomplished with bold initiative. This is where the museum’s history comes from and where the museum’s future is headed with great momentum. 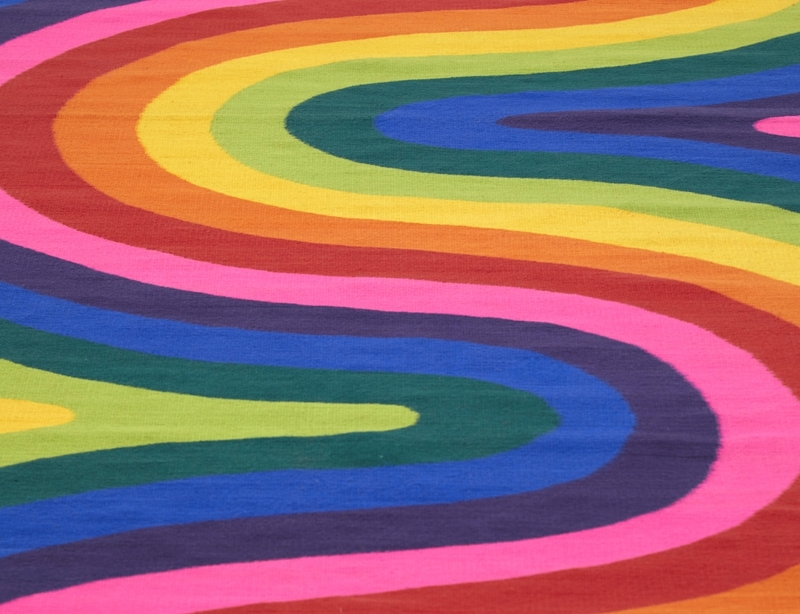 More information about Polly Apfelbaum.